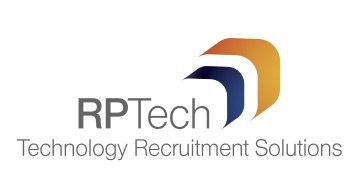 RP Tech are working alongside a global automotive company to recruit a Lead Developer. You will be a part of the in-house software team involved in an exciting and new project to redesign processes, platforms and software from the ground up. You will also be involved in upcoming projects ranging from a new generation of responsive websites to a redesign of all databases, alongside a whole suite of web applications that are essential to this very successful UK automotive company. • Brand new virtualised infrastructure to replace all existing development servers. • A brand new state-of-the-art office. • Brand new laptops for all development team members. • New tools to manage our processes (JIRA, Confluence, BitBucket, Bamboo, Application Insights, Power BI, TeamCity, Octopus Deploy). • A 10x increase in our training budget. • A new embracing approach to new technologies. • Be responsible for line-management of 3-5 permanent staff. • Lead developers and improve their technical skill set. • Own projects from a development perspective. • Code, test, debug and document software according to the business requirements. • Develop, maintain and assist with support of existing in-house systems. • Liaise with the Sytner IT Helpdesk and aid the application support analyst with investigating and resolving issues. • Provide reporting and analysis as required. • Interact and communicate effectively with all levels of staff. • Keep abreast of technical and industry developments and ensure existing systems are kept up to date with latest development frameworks and server technologies. • Ideal candidates should demonstrate a strong track record in developing solutions solely and within a team environment. • C# ASP.Net MVC (4+/Core). • Microsoft SQL Server (T-SQL, Stored Procedures, performance tuning). • Entity Framework (or similar ORM). • JQuery, AJAX, HTML and CSS. • SQL Server Reporting Services. • Source control and work item management software. • WCF or Web Services.